More bad news from Faraday these days. According to The Verge, Peter Savagian – Senior VP, Engineering at Faraday Future – departed the company, which could be another major blow after problems with raising capital to complete and launch its electric car FF 91. 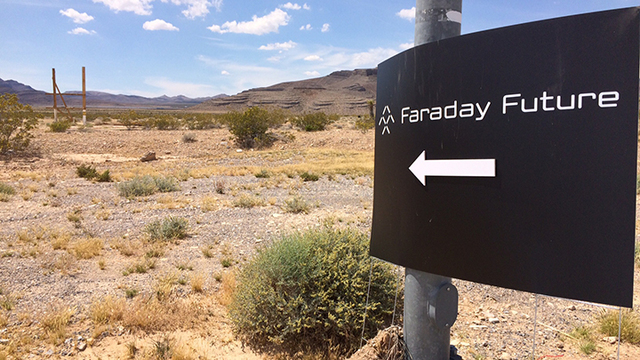 Faraday Future sadly was forced to cut salaries and lay off workers. As we understand, without a new investor there is little chance that the company will finally deliver the product. The article notes that there are still other execs on-board, like former director of Tesla Model S manufacturing – Dag Reckhorn. 39 Comments on "UPDATE: Founding Exec: Faraday Future’s “Backbone Of The Company” Departs"
I see the two remaining employees of the company downvoted that comment. Don’t they have a “Nothing of Faraday” to replace him with? Pete Savagian is irreplaceable. This pretty much seals the coffin for FF. The company was never real anyway, and always operated like a complete scam. While I’ve sympathy to the lower-level workers who were laid off, I have none to any execs or people who were previously senior in the automotive industry. The company never had any business designing and making a concept racecar, or growing beyond 100 people before it had working prototypes. They did hire real talent such as Richard Kim (of BMW i3) and Pete (probably all today’s GM EV) and few other notables. This is why they were able to make a prototype and some hope, especially since Karma motors with inferior product is still on market. I have no idea how viable their FF91is, but given that so many of the legacy companies appear to have no viable pure EVs (ground up design rather than a half-assed converted ICE), this looks like a decent buyout opportunity. Someone like Ford could absorb the IP and core staff and if they really are that great at making cars, they could refine the design and have an iPace eTron competitor in 24-36 months. Could be a good idea; they certainly can’t buy Tesla!!!! FF has never demonstrated that it has any intellectual property worth even 2¢. Keep in mind that their first so-called “prototype” was a hollow shell! You couldn’t even steer the front wheels! I guess the “FF91” prototype does actually function, but I don’t think they have ever let any outside party give it a test drive. …altho given all the “red flag” indicators that FF is a sham company, I do wonder if this “outside” reviewer was paid by FF to give them a good review. Why are you defending a company that is at least a sham, and likely an outright scam? A company whose “all hat and no cattle” claims were galactically inflated and wildly unbelievable right from the start? And yeah, scam companies certainly do spend a lot of money on inflated salaries. That’s about all they actually spend money on, because that’s the purpose of an investment scam: To pay inflated salaries as long as possible, for people doing nothing. Anything else they spend money on is just window dressing, and they spend as little as possible on it. Now, regarding FF’s supposed “factory”, do you mean this fantasy? The EV industry will be better off once FF finally goes bankrupt, because investors looking to invest in EV startups will look elsewhere. Too bad they didn’t go bankrupt years ago. And if you think any of this is FÜD, then you need a stiff dose of reality checking. In 24 – 36 months, most legacy makers will have their own designs in production. Buying out a start-up at this point would only make sense if they believed they can bring their designs to production in a profitable fashion without major modifications. I thought another company held all the IP and so FF is worthless. Correct. Their is a Cayman based Holding company that actually owns the IP for Faraday. They mortgaged everything they had for an investment form a Chinese(?) company last year. Perhaps. 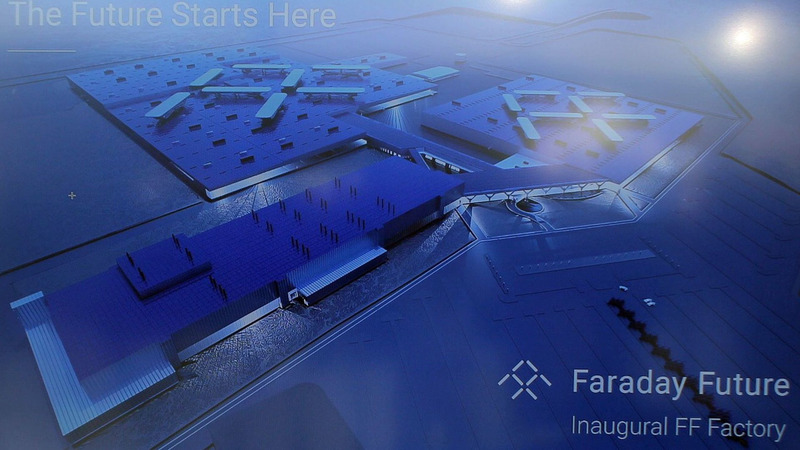 Faraday Future will likely be liquidated and their assets, including the prototypes, distributed to the different groups that are owed money. Those groups may decide it’s best to sell the prototypes. They might have had a backbone, but they definitely lacked a brain. If they finally go under, I will miss their extravagant and unintentionally entertaining reveal parties in Las Vegas. Some car company should really consider buying them. Get a product on the market in this decade. The price they wanted for an FF91 was just ridiculous. Ford? Can you hear John? Jump start your EV initiative that you’re talking about. Faraddy Future is like that zombie you keep blasting in a video game that refuses to die despite losing arms, legs, and chunks of its torso. You gotta think the finishing headshot is just around the corner. Sampson seems as incoherent in his exit email, as when I’ve seen him try to present. Promoted above his ability I think. But he’s right, at least, about the chaos it’s caused for the employees. Still hands-down the funniest reader comment posted to InsideEVs, ever! And sadly, I can’t remember who posted it. Was that you, Jelloslug? I think that was Jay Cole. Since it was a lead in story picture. I traced this back to the source. The photo was posted in an article by Mark Kane, but the sidesplitting caption was provided in a comment by “Ken_3”. I think your J-slug “posted it” recollection, is probably spot on. It’s definitely in the top ten, of the “funniest..EVer”. Frankly, the name was the first thing that made me sceptical of this “me too” company… Just like Nikola.